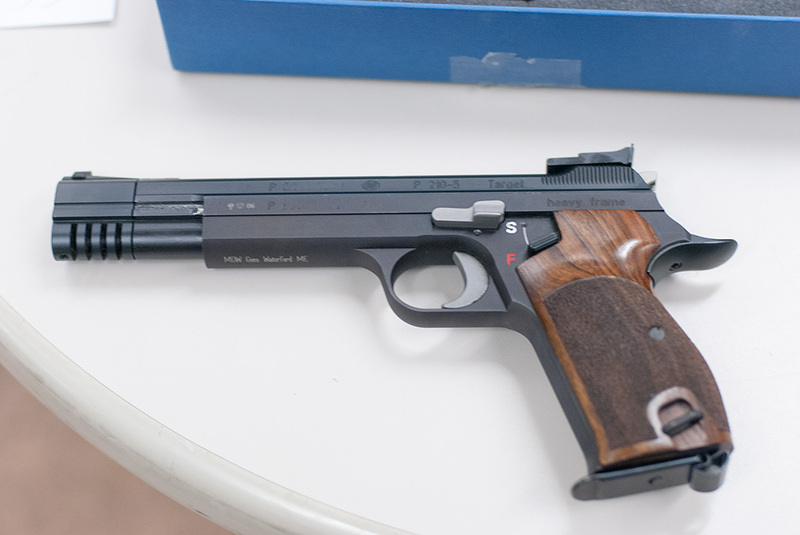 So I bought one of these new American P210's and am curious what everyone thinks about using it for EIC. Are there any 210 knowledgable folks on the forum? Sig claims 3.5 lb trigger so I'll have to bring it up to 4. It seems from the pics I've seen that they are somewhat faithful to the design but I'll update when I receive the pistol next week. Re: Sig P210 for EIC? I say go for it. I've heard they shoot pretty good. Get your last 8 points! I think you have to increase trigger weight to 4 lbs and get different (non palm swell) grips. Tangentially related, when you take the slide off, how tightly does the barrel fit into the slide? PS: I'm not sure I could make that team anymore! You are all hard holders! Let is know more about how you like this pistol after you receive it. Is it drilled and tapped?I am considering one myself, but at my age, almost any new gun must easily mount a red dot for my eyes are not real keen on iron sights anymore! LSM 124 wrote: Let is know more about how you like this pistol after you receive it. Is it drilled and tapped?I am considering one myself, but at my age, almost any new gun must easily mount a red dot for my eyes are not real keen on iron sights anymore! I cancelled the order when I found out they changed the design. I'm a little irked that nowhere in the description of the gun on Sig's website do they mention changing a design feature that from my understanding was a major reason for its legendary accuracy. I very much doubt it's optic ready. Interesting, went looking for pictures and found short and long slides and one that has a fixed barrel (image below). Would this version improve accuracy? Then on the SigSauer site, there's only one model. Guess the new version doesn't have these options then. Unfortunate. Has anyone discovered a reliable means of adjusting the trigger weight up to the required 4 pounds? orpheoet wrote: I cancelled the order when I found out they changed the design. I'm a little irked that nowhere in the description of the gun on Sig's website do they mention changing a design feature that from my understanding was a major reason for its legendary accuracy. I very much doubt it's optic ready. Your decision speaks to the maturity of this Forum while elsewhere the SIG fans are gushing all over it. As the owner of a Swiss P210-6, I've handled quite a few of the German-made P210s and have found them to match the originals ... though there are those purists who doubt any changes from previous designs could be an improvement. Based on a pretty thorough review of the so-called gushing, I expect that the American-made P210s will turn in more accuracy that most BE shooters will ever be able to realize. 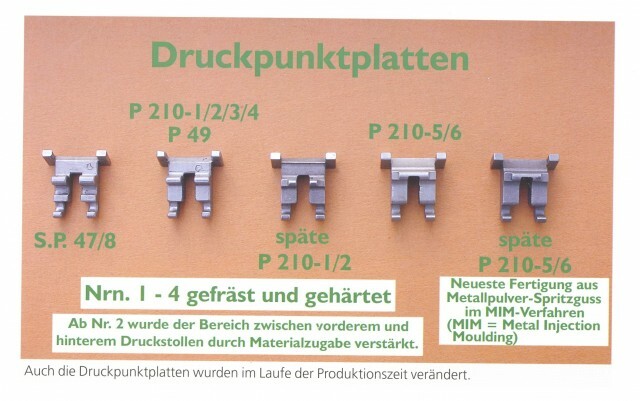 The key question, given that the triggers remain superb across all P210 variants, is how to reliably increase the weight to 4 pounds without having to file at protrusions of the Druckpunktplatte. There are three springs which influence trigger pull, and having a selection of extra-strength springs would be very useful. I would worry you get a 2” inch 25m gun. That probably won’t hold the 10 ring at 50 yds. You will drop points with a 4+ inch gun over a pistol that can hold the X-ring. Most of us would notice. I would argue even lowly sharpshooters/experts would notice. That’s awful accuracy. Not a glowing review by a dealer (hyperlink) below, who is seeing a larger sample size than most. If I had a 2” test target at 25m like the review here I would pass. My worst 1911 has a 1.2” 10 Shot 50 yard group and my best is around 1.0” with 10 shots. Both in 45 ACP which is easy enough to load that even I can do it. I think it’s safe to say if the test target fired at 1/2 the distance has the same Extreme Spread Value for the group fired at twice the range that the “improvements” probably aren’t for the better. For those who must have them, the good ones can be found for under $4K. Amati wrote: For those who must have them, the good ones can be found for under $4K. That's a German-made gun from Eckernförde ... not usually considered one of "the good ones" ... not at least in comparison to the Swiss guns. Based on the empirical data, though, I'd say that they all are good enough for CMP EIC competition or iron-sighted BE/NRA Precision. Just need to get the trigger weight up! I showed how you can increase trigger weight. Also the guns are listed as being approved for CMP matches as it is underlined under current rules. The underline if I'm not mistaken means "newly added/changed." Saladman wrote: I showed how you can increase trigger weight. Also the guns are listed as being approved for CMP matches as it is underlined under current rules. The underline if I'm not mistaken means "newly added/changed." Tightening up the mainspring, is mechanically, the last thing you would want to do. AFAIK, there are three springs and one mechanical interface which dictate trigger pull weight (in addition to shortening the factory mainspring). There is a German shop which supplies P210 trigger spring tuning kit, but the proprietor has indicated that his set only lightens the trigger pull. 1. Stoning the engagement surfaces is the indicated solution, but unless you have non-MIM parts and a skilled & knowledgdable gunsmith, this isn't realistic (you'll ruin your gun). 2. Next up is changing out the trigger spring (assuming the P210 American has one), would be the next choice, increasing the 1st stage pull weight. 3. Changing out what I believe in English would be the sear spring (Feder zur Fangklinke) would be next. 4. The mainspring itself could be increased in weight, but this would add undesirably pressure to the sear, greatly increasing the friction on the sear contact surfaces as a means of achieving minimal increases in trigger pull. 5. Without a replacement MS, one could (as described by Saladman) twist the mainspring nut and over-compress the mainspring (achieving increased tension on the MS, accompanied by decreased compression space). 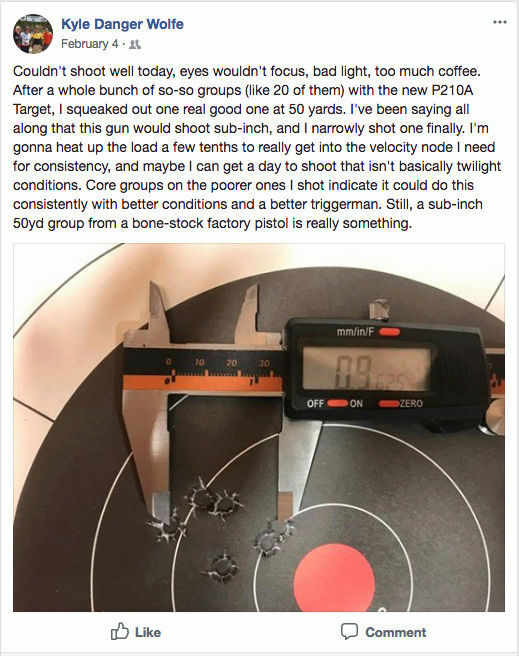 I attempted this with my P210-6 (which has a 2.5lb trigger) and was able to increase trigger pull to 3.0lb before the the MS lost enough space to function, however, cycling action was negatively impacted and I returned the MS nut to its original position. For further background information on the P210, I recommend the extensive writings of Larvatus Prodeo. Here is a LINK to his article on P210 Trigger Function. Ah interesting, I will have to do some reading. I don't think I've even shot this gun with the increased mainspring trigger weight. My gun doesn't seem to run out of room or even close to it due to the way the spring is configured. I would think the main downside to doing this would be reduce sear life. Be careful with Mr. Prodeo's information. The full range from mildly correct to absolute garbage. He loves to self quote/reference. Unfortunately, a lot of good information is in doubt because of the lack of precision in truth/fact. I'm not saying discount/disregard everything, but be careful. So, I had a SIG gunsmith here in Germany change out the trigger spring and sear spring on my P210-6 with what he had on-hand. I loaned him my newly-purchased official NRA trigger weight set, and he got me a pull just over 4-1/4 pounds just by changing these two springs. Saladman wrote: I think you have to increase trigger weight to 4 lbs and get different (non palm swell) grips.